We had a young staff sergeant who had been shot in the neck and was a quadriplegic. He only could move his left arm, and used a power chair to get around. Someone told him his injuries would prevent him from hunting. When I met him, I said, “I don’t think so.” We lined-up a hunt for him at Vermejo Park Ranch (www.vermejoparkranch.com) in New Mexico and Colorado along with several-other veterans. The hunt was called the Double Dog Elk Hunt. This young man used a device on his power chair to carry his rifle and a joystick to aim it. To fire the gun, he had a sip-and-puff tube that went into his mouth. On opening day of elk season in Colorado, we got him lined-up on a cow. That fellow made a 250-yard shot and downed the elk. We took him to the elk and loaded the elk in the back of the truck. 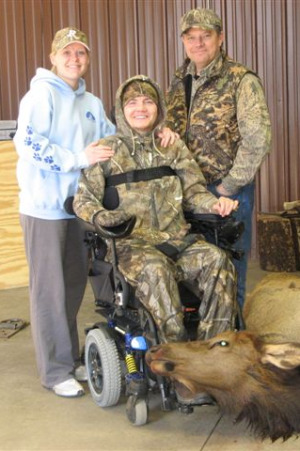 We took the hunter, the power chair and his elk back to the skinning shed, where his wife was waiting for him. When his wife saw him, and the elk he’d taken, he had the biggest grin on his face. He told his wife, “Look at me, honey. 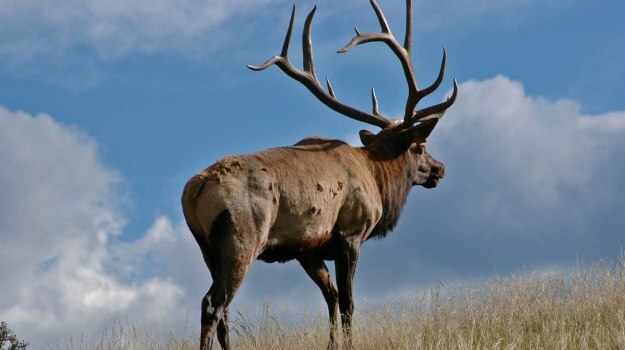 I’m an elk hunter.” There were some rough, tough and grizzled cowboys and hunters there when this proud veteran told his wife he was an elk hunter, and there wasn’t a dry eye in the shed. That one moment touched all our heartstrings. This young man had been told he was so severely wounded that he wouldn’t ever be able to go hunting again, but on that day he proved all those doctors wrong. The human spirit rose above the wheelchair and the disability. We’re willing to do whatever we have to for our servicemen and women to go hunting, if they want to go. The guides at Vermejo understood this hunter would be in a power chair, so they not only located an elk for him to hunt, but found one on flat ground. Once they helped him out of the truck and into his power chair, he had to get into a position to take the shot – not an easy task. He didn’t arrive the night before, get up the next morning, and go out and take an elk. We had to drive and look. 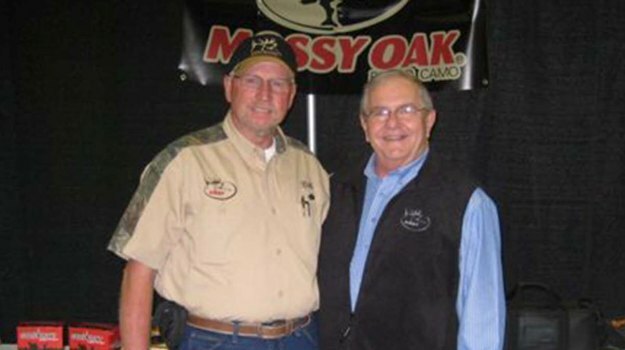 All of our hunters were dressed in Mossy Oak. 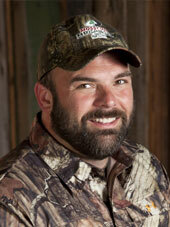 We want the injured veterans to have the complete hunting experiences. We want them to see the country, pursue the animals and find the animals that they can get close to and take shots. Marine Cpl. Christian Brown, of Mumford, Tenn., grew up in the outdoors and learned his earliest life lessons while following his father through the woods. Nature’s greatest rewards didn’t come to his attention, though, until he returned years later, missing his legs and looking for the person he had been. 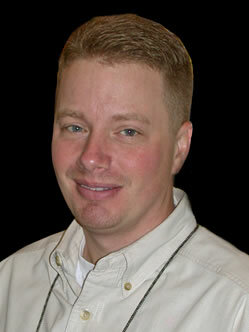 Bill Custer of Clovis, California, is a member of the Mossy Oak and PSE ProStaffs and has bowhunted most of his life. He’s hunted elk in Oregon, New Mexico and Utah, but 90-percent of his hunting is in Colorado on public lands where he can buy a tag over the counter. 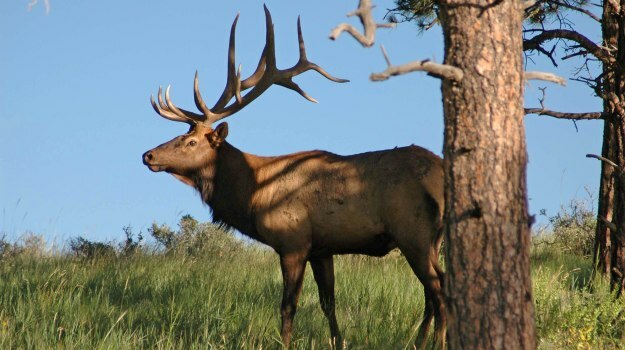 The 2013-2014 season will be his 33rd hunting elk on public lands, and he’s taken 27 elk with his bow.